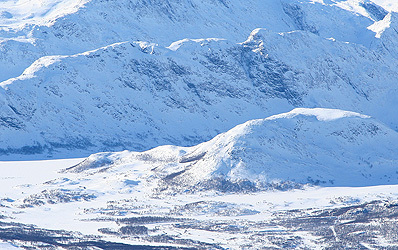 How to get there: A natural starting point is the DNT hut Gjendesheim or nearby on the highway Valdresflya. Route description: This ridge route can be hiked either way. We hiked along the south-west side and then made the traverse from the Gjende side towards the highway on Valdresflya. There is a clear and good trail all the way. The ridge looks narrow, but the trail poses no difficulties. There are a few short sections that may be called easy scrambles, but overall this is a very easy hike with very good views along a nice ridge. Comments: I did this hike as an afternoon hike after establishing camp at the south-west side. I was with my sons Pål Jørgen (9 years) and Tor Erling (16 years). The next morning we proceeded to climb Tjørnholstind.